One-storey dwellings are practical, efficient, and offer a reduced building price when compared to their taller, multi-storey counterparts. 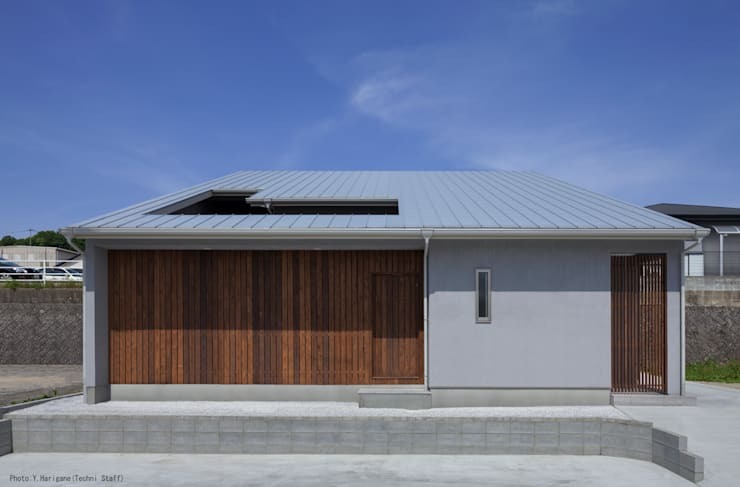 Not to be outdone by vertically enhanced structures, single-storey homes are diverse, liveable, usable and usually offer better energy efficiency. One-storey houses age gracefully, and provide an unbeatable functionality, which is often the selling point for new home buyers and builders. Sure, two-storey homes are neat, but who want to climb all of those stairs anyway? There is something uniquely luxurious about a single storey home – one with a sense of expansiveness, which boasts a cleverly placed floor plan to maximise the plot and situation of the dwelling. Paying homage to these low-lying residential abodes, we’ve gathered 10 spectacular properties that are sure to impress and inspire. Let’s check them out! The first home we take a peek at features a low-lying somewhat flat design. 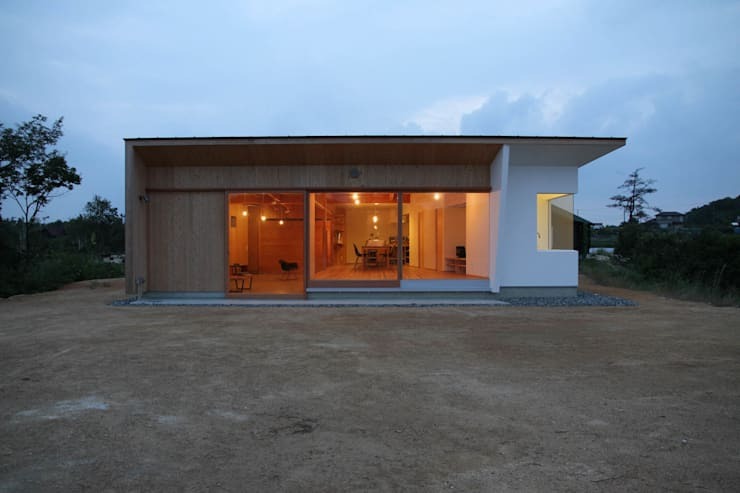 Raised slightly higher than the surrounding land, the dwelling provides a place to sit and rest when it rains. 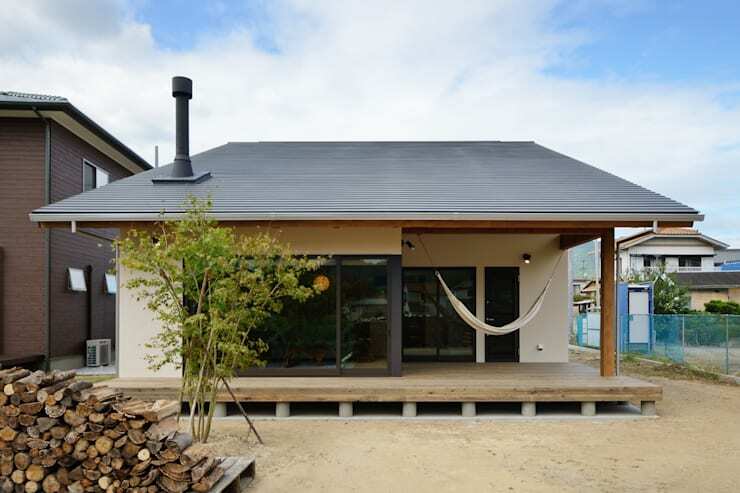 Simple in construction, the added hammock seals the deal! Our next one-storey house features warm wood tones, which highlight the exterior fascia. 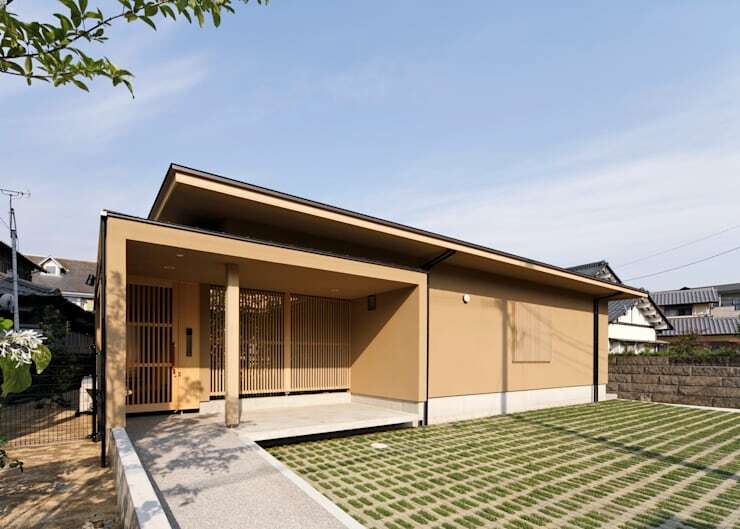 The entrance allows individuals to slowly make their way through to the front door, enjoying the grid layout of grass, and the beautiful facade. Upon first inspection it is tricky to now where the front door is to this quaint yet eye-catching abode. The auburn-panelled exterior brings warmth to the overall aesthetic, while small stone landscaping creates a peaceful vibe. 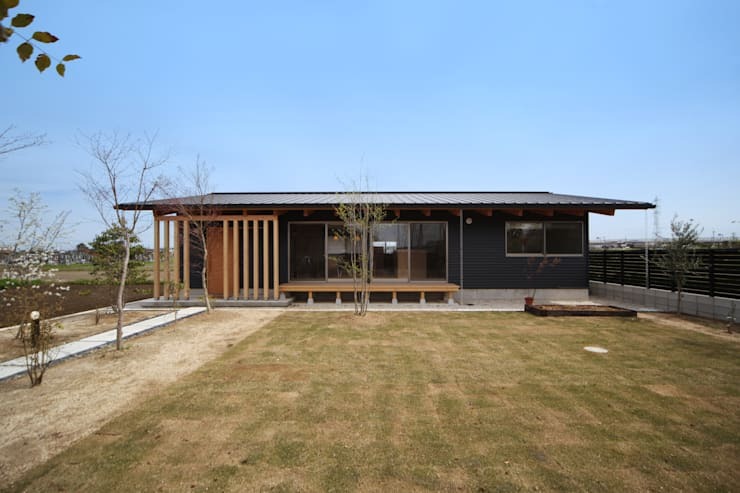 This architecturally designed family home appears to fit together in two sections. 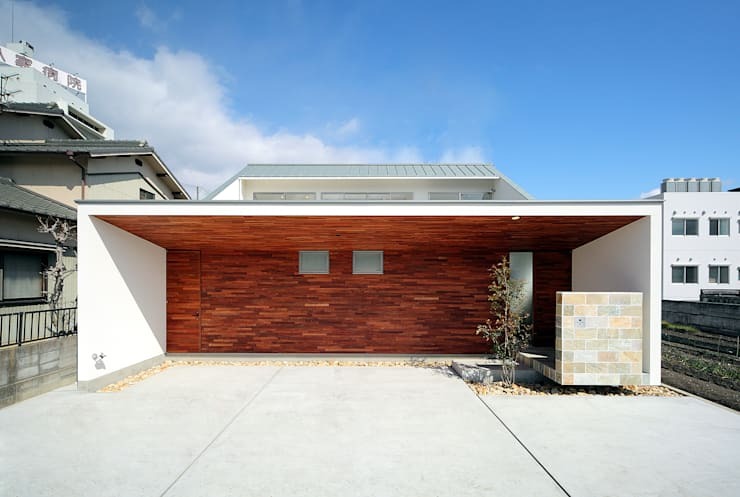 Unique in its appearance, a wooden gate welcomes visitors, while the timber panelling creates a visually spectacular individualism. If you fancy yourself a green thumb, you'll adore this next home. Cosy, welcoming, and replete with plenty of garden space to propagate, grow and nurture your own plants, this dwelling is refreshing and nature-friendly. Combining balance and beauty, this modern oriental home utilises light timber with dark hues to create a dramatic and bold aesthetic. With a sliding glass door, ample natural light is able to flood the interior, while the large front garden is perfectly family-friendly. Situated adjacent to the garden space, this dwelling embraces an open ambience by removing walls and replacing them with glazed sliding doors. Here the exterior of the home can be opened up, bringing the outside 'inside' and working to create a bold contrast of hues. Sometimes the classics are classics for a reason. 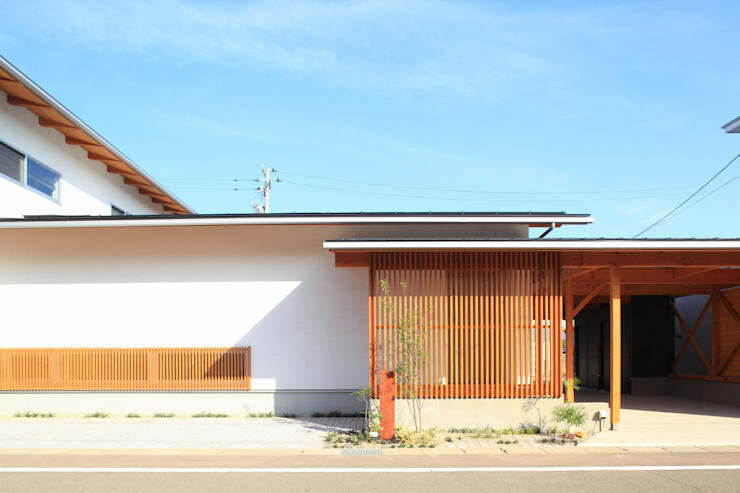 This simple house brings together two primary colours, with a traditional shape and form. Separating this abode from the rest is a neat outdoor setting, with timber decking and an incorporated bench to socialise and enjoy the sun with friends and family. Simply decorated, with a modern structure and form, this home is cubist in its appeal and incorporates minimalism and modernity with ease. Textured finishes are utilised to add interest to the overall exterior facade, while warm interior lighting creates a spectacularly welcoming ambience. 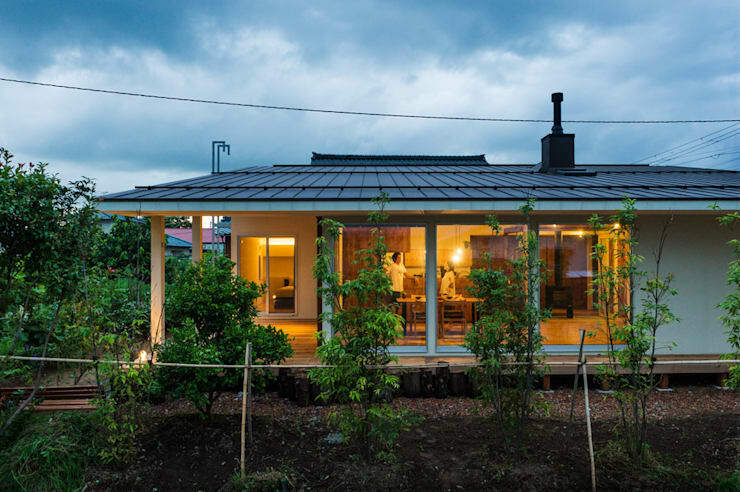 This dwelling looks as though it is a one-storey home, but hides a secret floor within the roof space. 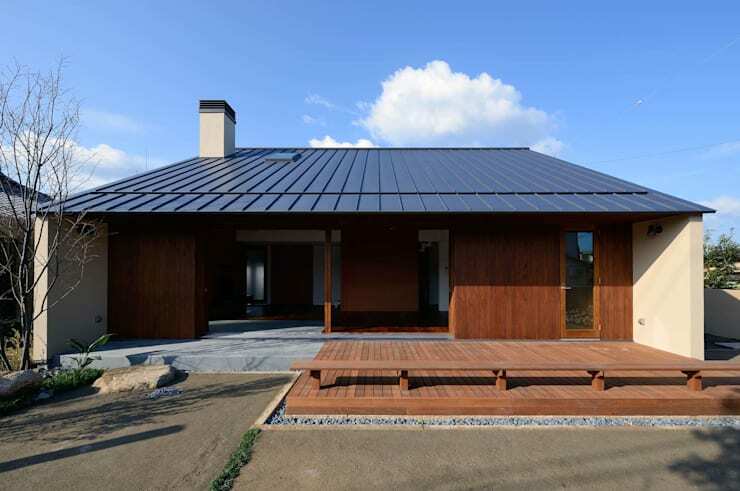 The roof lights have been installed to provide natural illumination, while the overall appearance presents a simple, modern single-floor house. Have you got the hunger for more inspiring and interesting homes? 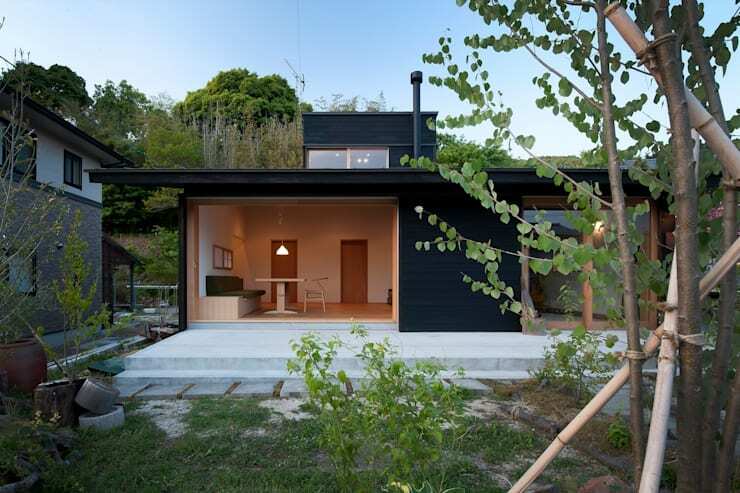 To keep reading, click here, and check out more brilliant abodes! Which one-storey home is your favourite?